Technology has proven to change the way we live and interact with one another. With the rapid advance in technology, CD-ROMs, cassette tapes, and even landline phones have become obsolete. 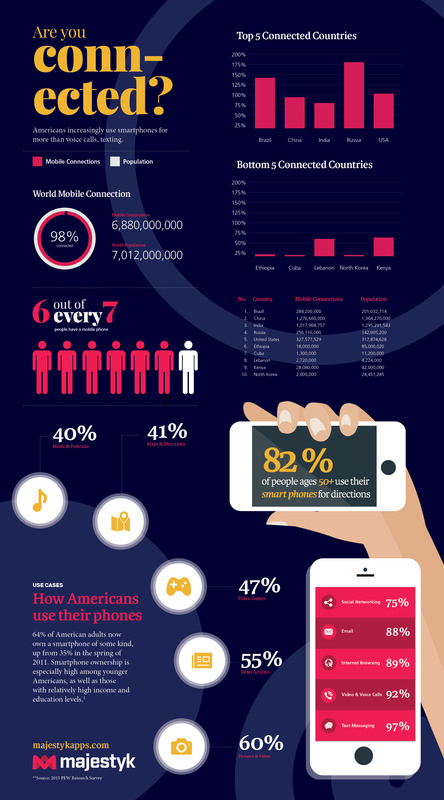 Below are some statistics on the the daily use of mobile phones in America. How connected are you?